A big thanks to you who attended our SolidWorks Innovation Days 2012, either in Penang, KL or Johor. During the event, Mr. Lau, Product Manager of IME Technology, announced 3 new products launched by DS SolidWorks; SolidWorks Electrical, SolidWorks Plastic and the eDrawings Pro for iPad. We all are exciting with the new products added into SolidWorks family and i believe it will be one of the great tool to suit into your current workflow. During the sharing, Mr. Lau also described SolidWorks Plastic as "The best plastic injection advisor right in front of your desktop". I can't agree more! 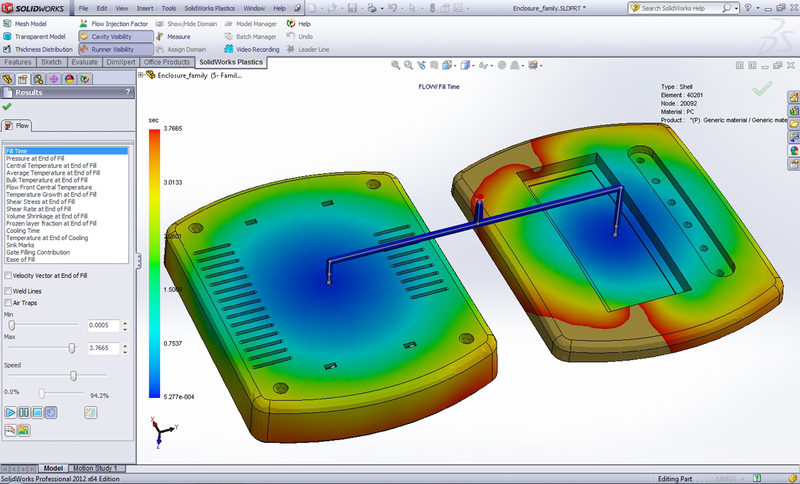 SolidWorks Plastics brings injection molding simulation directly to plastic part designers and injection mold designers. Some of the key benefits of SolidWorks Plastics are helps to predict and avoid manufacturing defects during the earliest stages of design, eliminating costly rework, improving quality, and accelerating time-to-market. Fully integrated with SolidWorks CAD, this intuitive software helps part designers, mold designers, and mold makers optimize designs for manufacturability without leaving their familiar 3D design experience. I try to hold myself from putting to much technical explanation into this sharing. the reason is pretty simple, you can go to SolidWorks website to find out more about SolidWorks Plastic, in detail. We are in the mid of arranging some workshop for interest users to participate and explore more. Visit our blog more for latest update on the latest products update. I've found that Google Sketchup (http://sketchup.google.com) suits all my needs. It's quick to learn and you can use external plugins to get that professional touch.